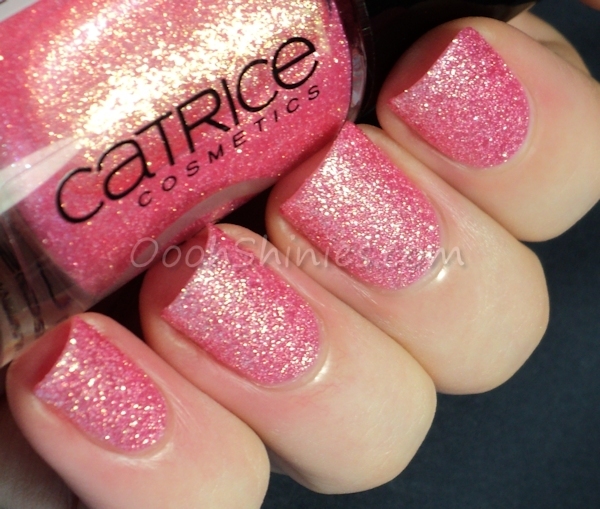 Call Me Princess is one of the new Catrice Crushed Crystals polishes, and oh my, it's a pretty for sure! 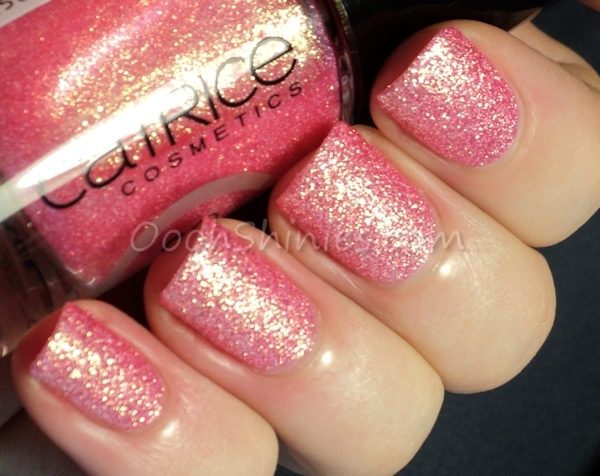 It's one of those that you should see for yourself really, it's so rich and beautiful ♥ The texture in it isn't very rough, and the shimmer makes the textured effect less visible as well, but it's still very clearly a textured polish. It took 3 coats, and they didn't dry as fast as some textures do, but it didn't take too long either. This post has a few more pics than usual, so you can check the rest below the jump! The pink color is warmer and a bit more coral-y in real life. Mixed with the gold it makes for a great combo! In daylight the soft golden part stood out a bit more as you can see below. 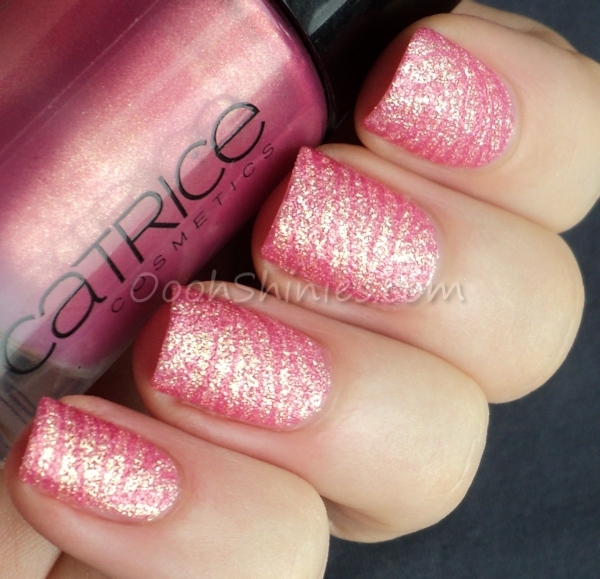 Catrice Call Me Princess with Catrice Big Spender Wanted! and Konad plate m57. Several of the pics in this post aren't as good as I'd like them to be and I'm sorry about that! I struggled quite a bit (give Spring and good daylight already! 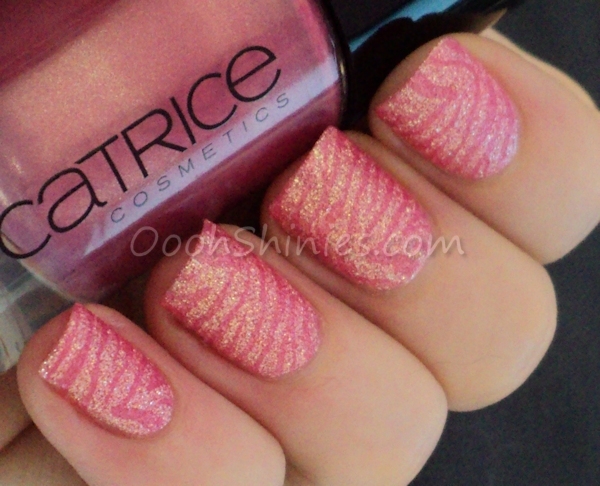 ^^) but I hope they gave a decent impression of this polish anyway :) Thanks for looking!